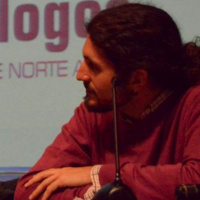 Diego García-Peinazo is Lecturer in Music at the Universidad de Córdoba (Spain). He is a musicologist and music educator interested in areas such as popular-music analysis, intertextuality, rock flamenco, politics and national identity in Spain who holds his Ph.D. in Musicology (with distinction) in 2016 from the Universidad de Oviedo (Spain). His book Rock andaluz: Significación Musical, Identidades e Ideología en la España del tardofranquismo y la Transición (1969-1982) has been awarded the national Premio de Musicología 2016 (Sociedad Española de Musicología-SEdeM). He has published several journal articles and book chapters for publishers such as DeGruyter or Centro de Estudios Andaluces, among others, participated with oral presentations in conferences in the United Kingdom, Germany, Brazil, Portugal and Spain, and was selected to take part in the International Postgraduate Summer School Methods of Popular Music Analysis (Universität Osnabruck, Germany, 2015).